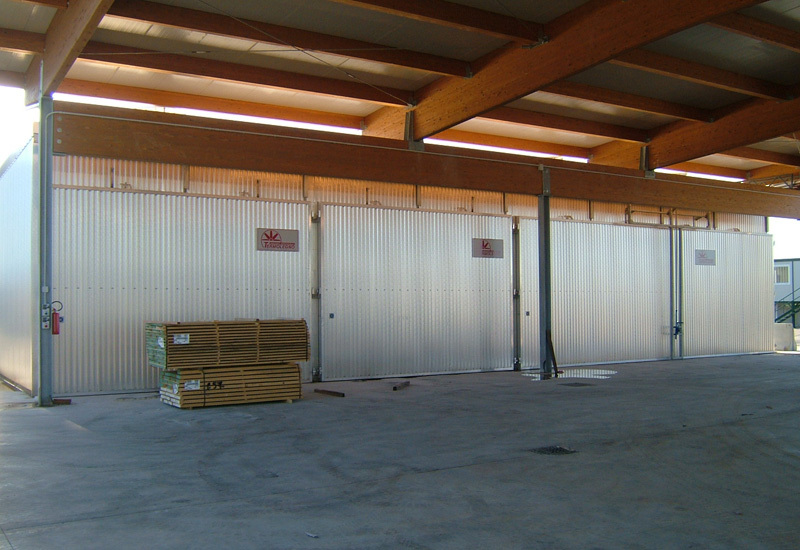 Drying systems full options for energy saving of 100 m3 each for the drying of white beech elements. 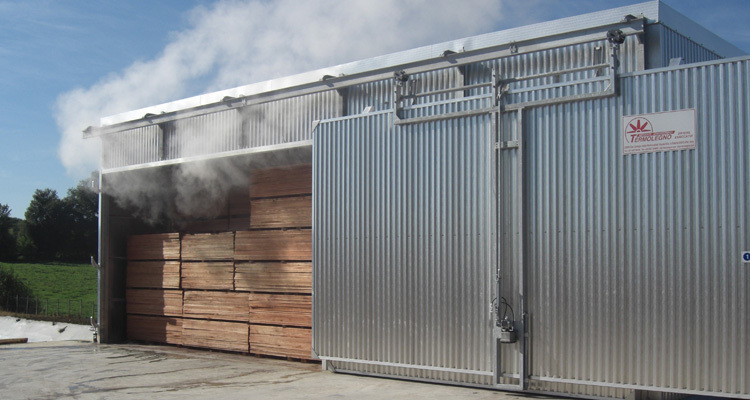 Drying kilns for radiata pine with steam heating. 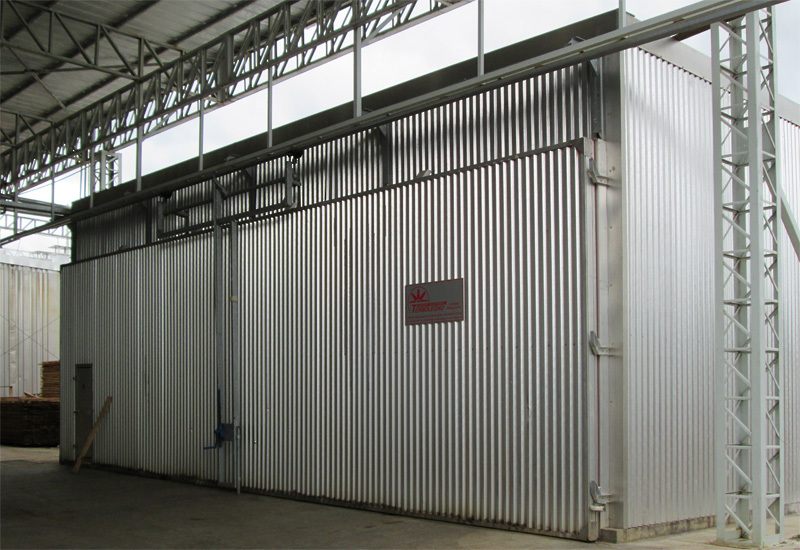 Batteries of drying kilns in line for African tropical timber. 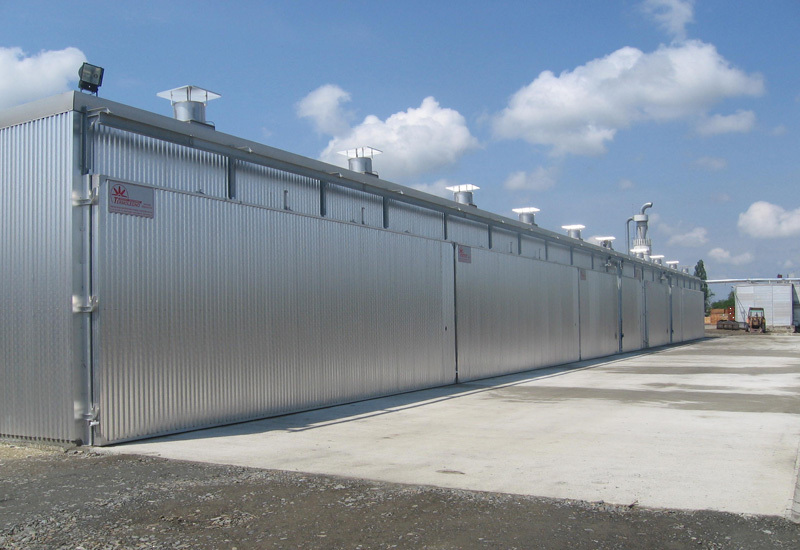 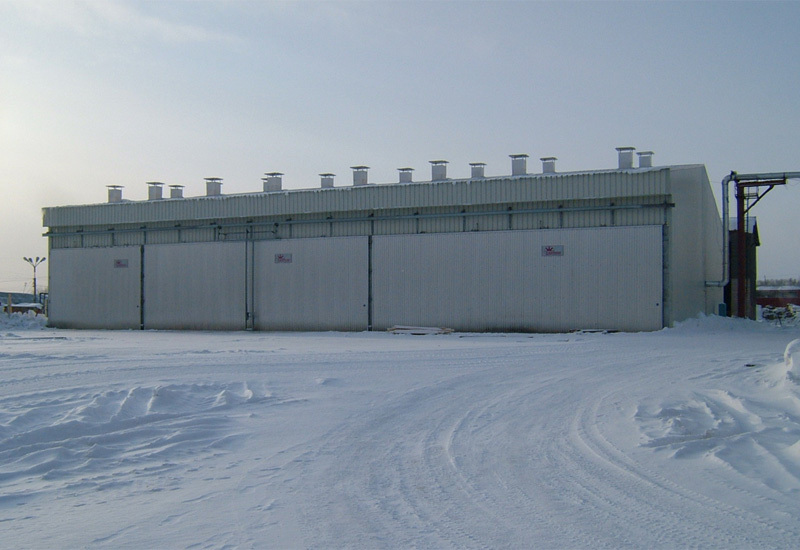 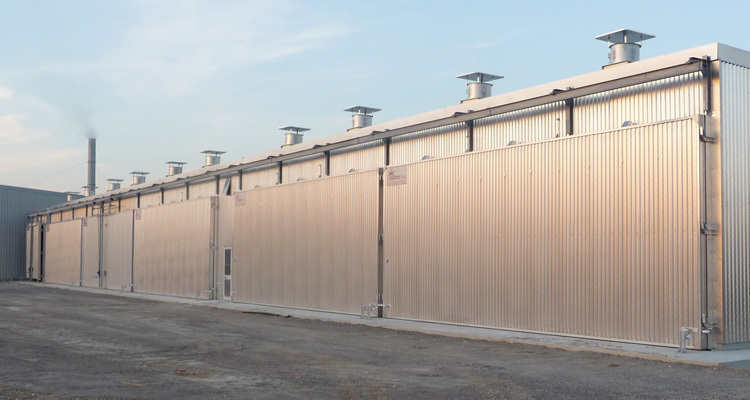 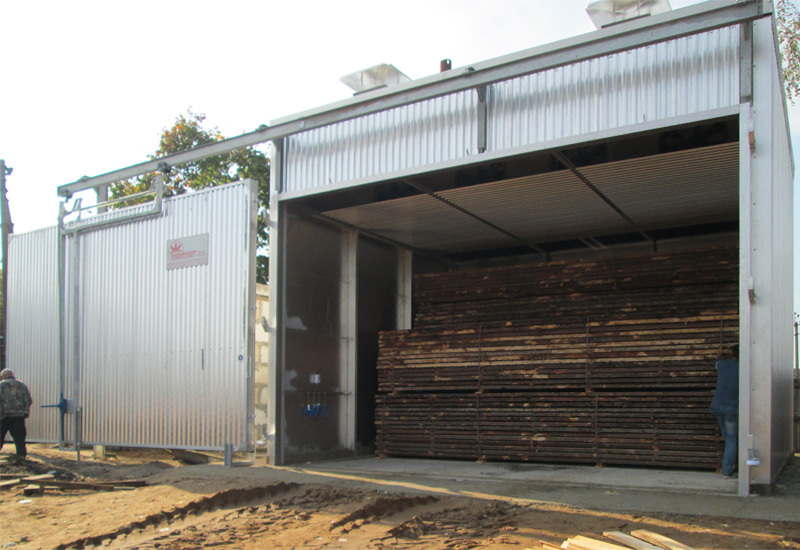 Batteries of front-loading drying kilns for tropical, exotic and American timber. 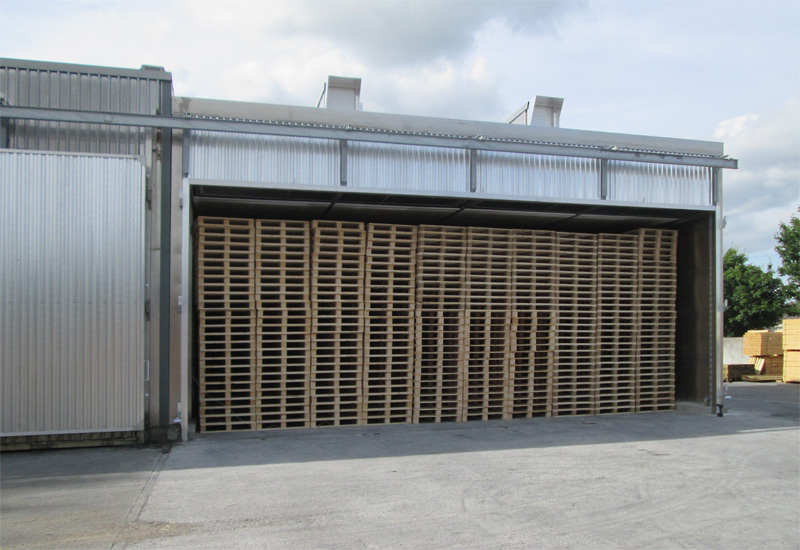 Battery of drying kilns for beech of 50 mm in thickness. 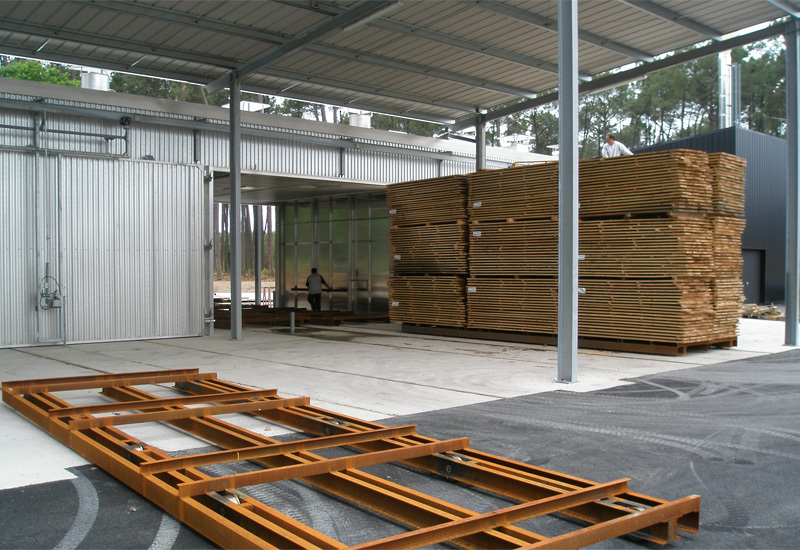 Drying systems of 200m3 each for a rapid drying of sawn timber of pine of different thicknesses. 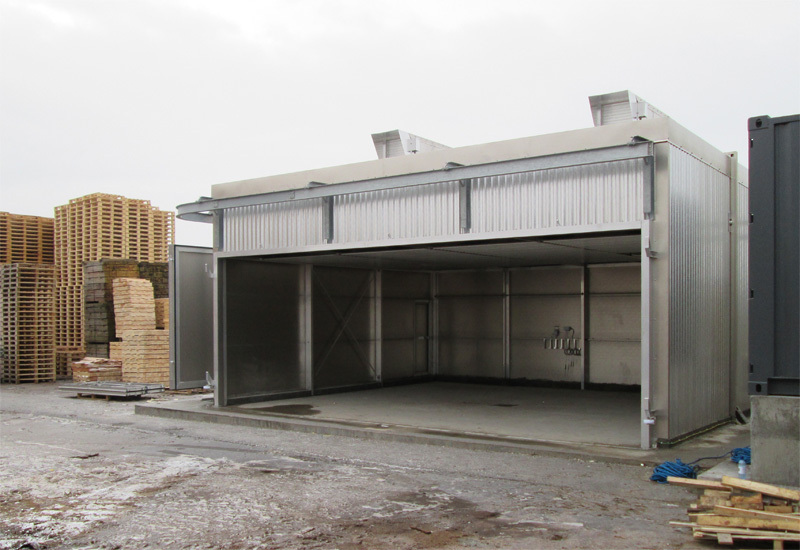 Drying kilns for resinous woods. 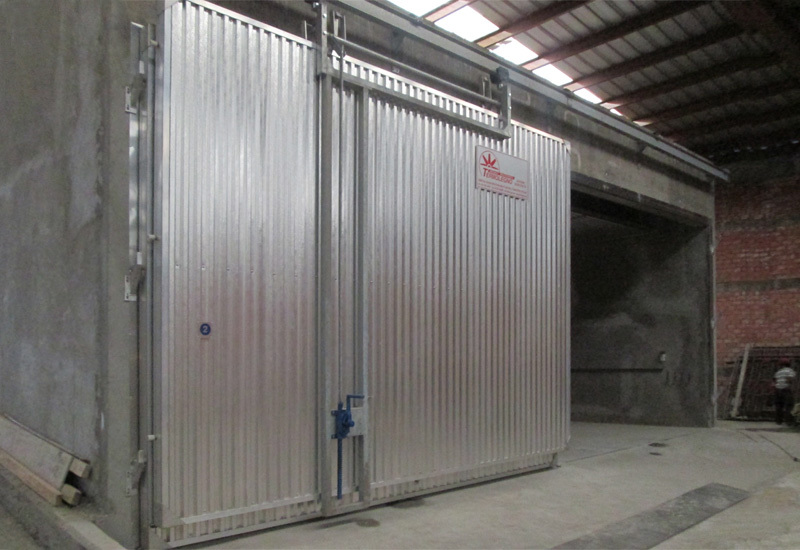 Tunnel installations for drying of maritime pine. 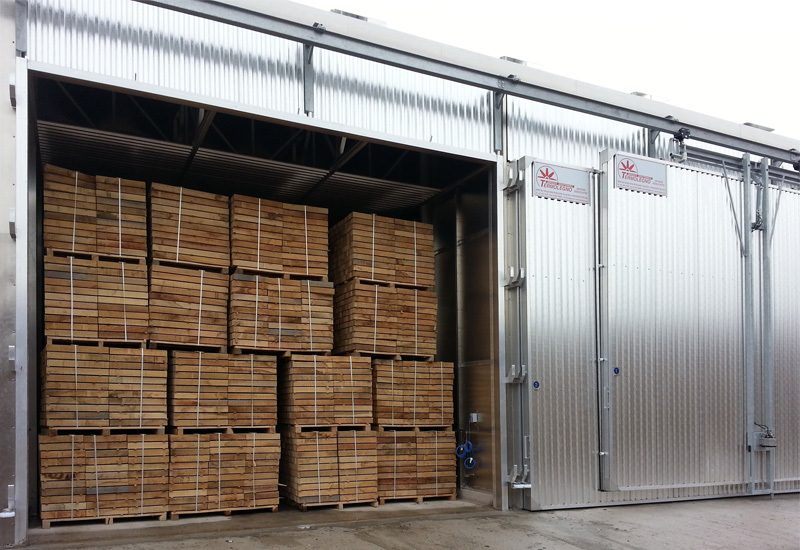 Drying kilns for 1,500 m3 of oak. 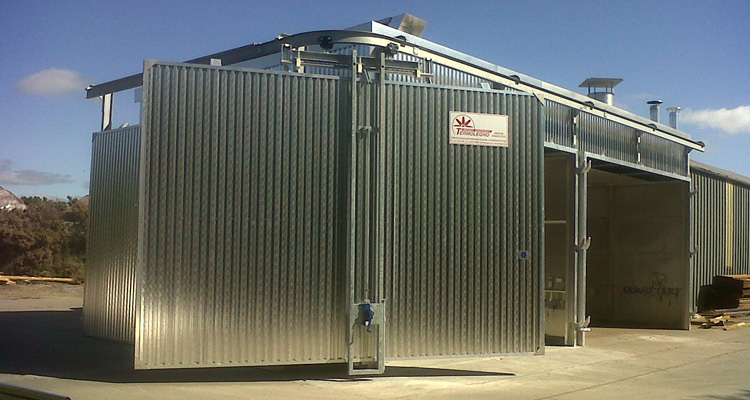 4 drying systems in line. 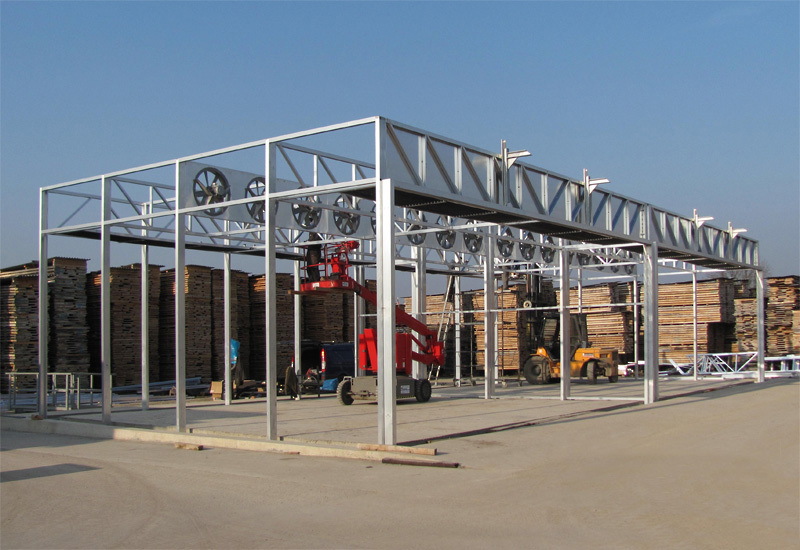 Drying installation for the oak. 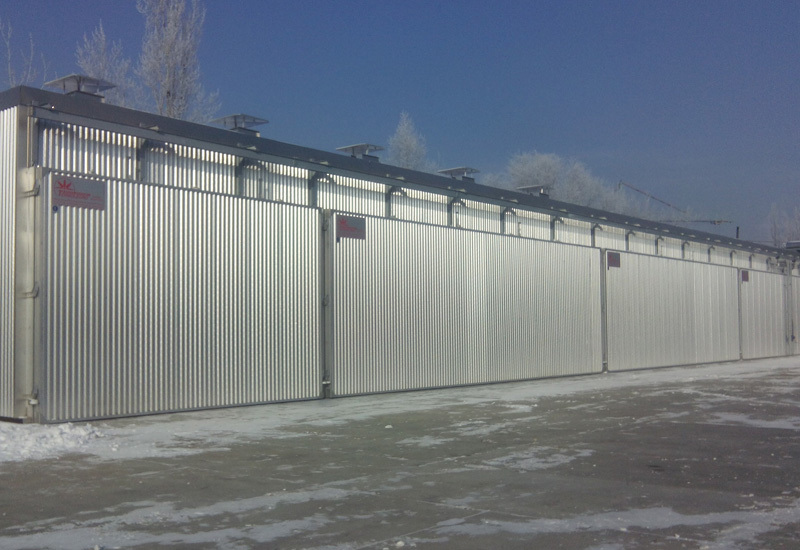 Drying systems for the beech of 240 m3 each. 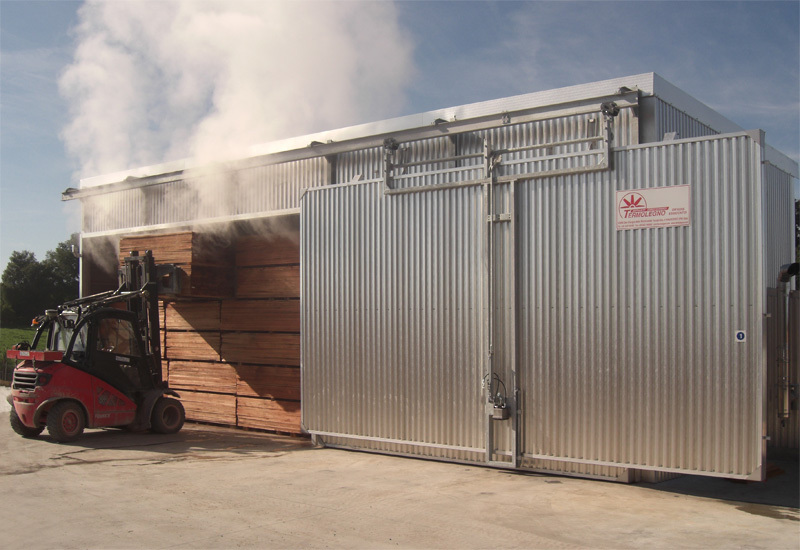 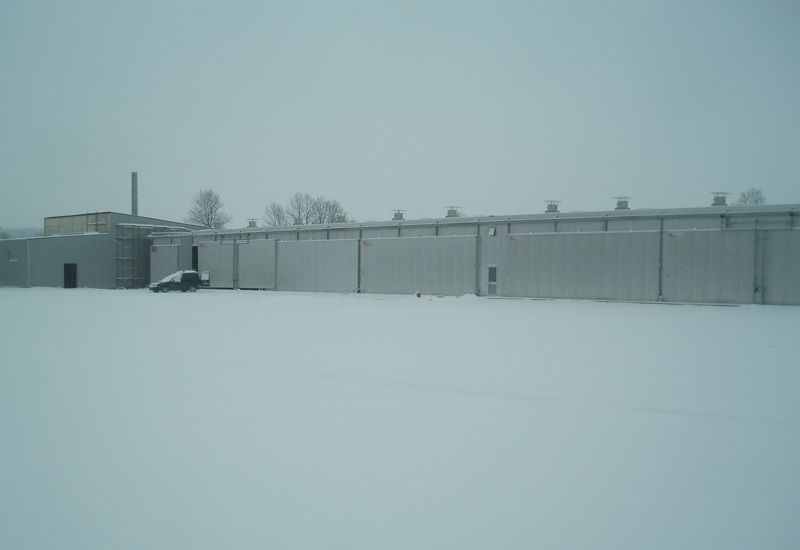 Turnkey system consists of drying kilns, steamers and boiler powered by wood chips for beech elements. 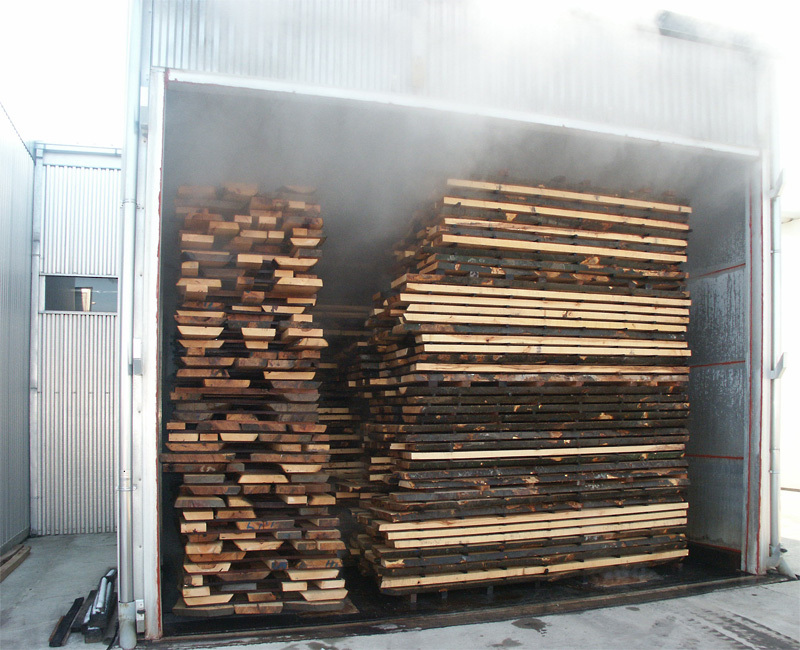 Steaming systems (indirect) for beech wood with heating system direct gas sucked burner. 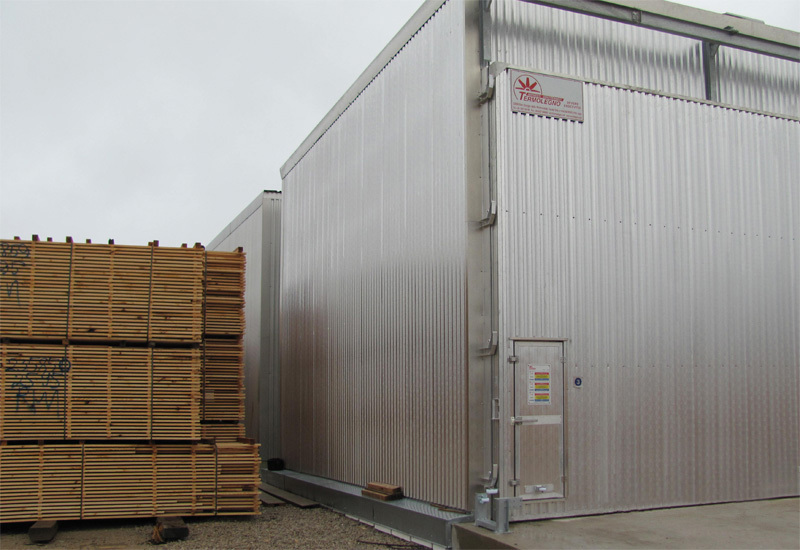 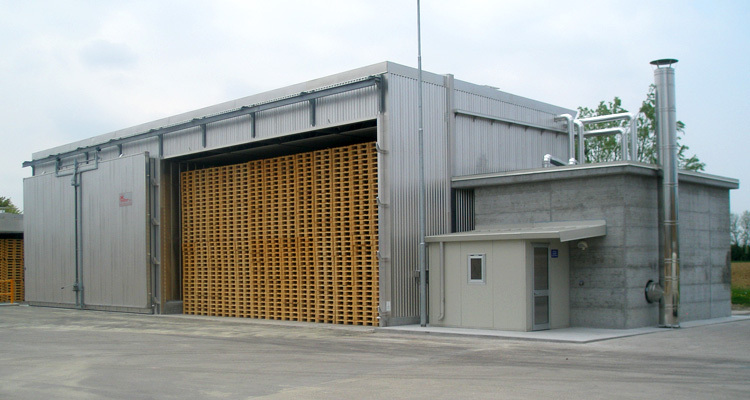 Full-featured system for energy saving for drying and thermal treatment of pallets. 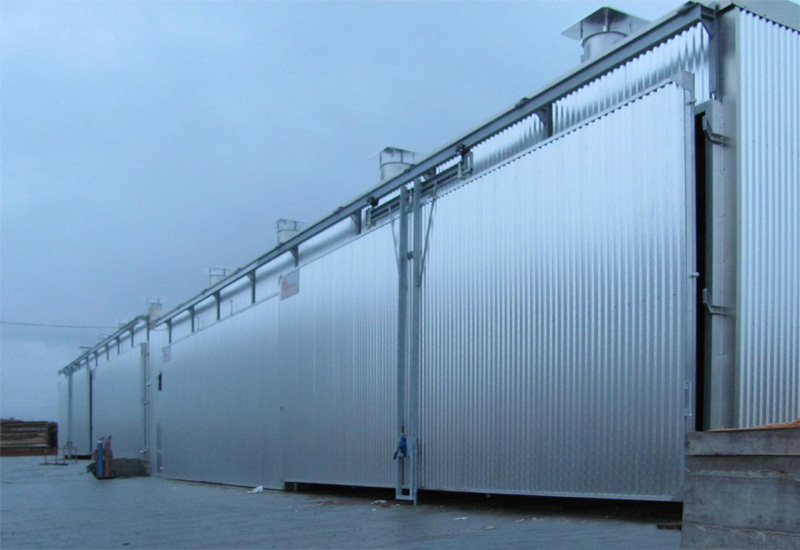 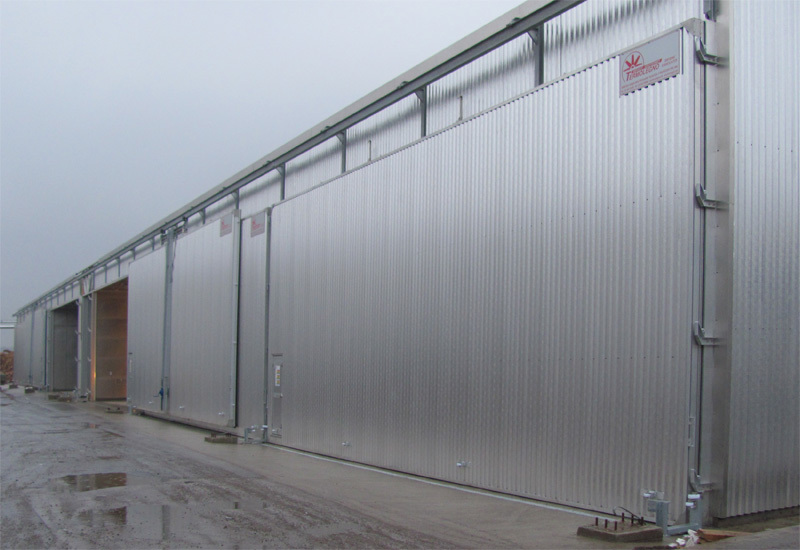 Installation for the heat treatment of 3,000 pallets per cycle with heating system direct gas aspirated burners. 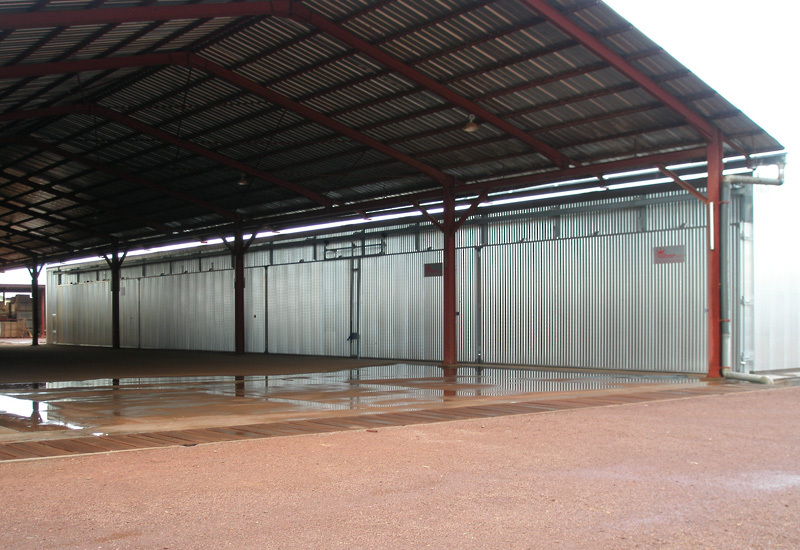 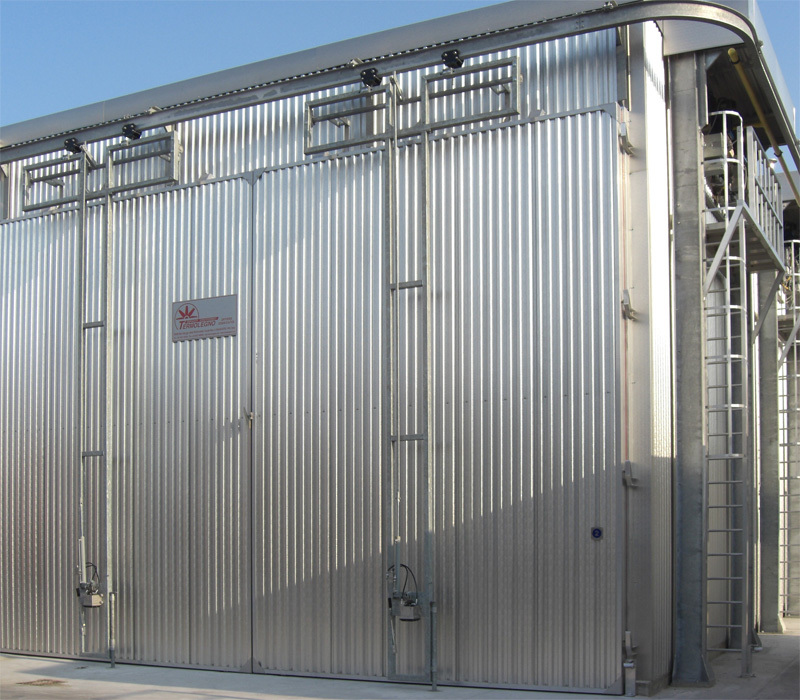 Turnkey system for drying and HT heat treatment of lumber and pallet consists of tunnel drying kilns, water connections, boiler system powered by waste wood of 1,500,000 kcal/h with moving grate with storage silos. 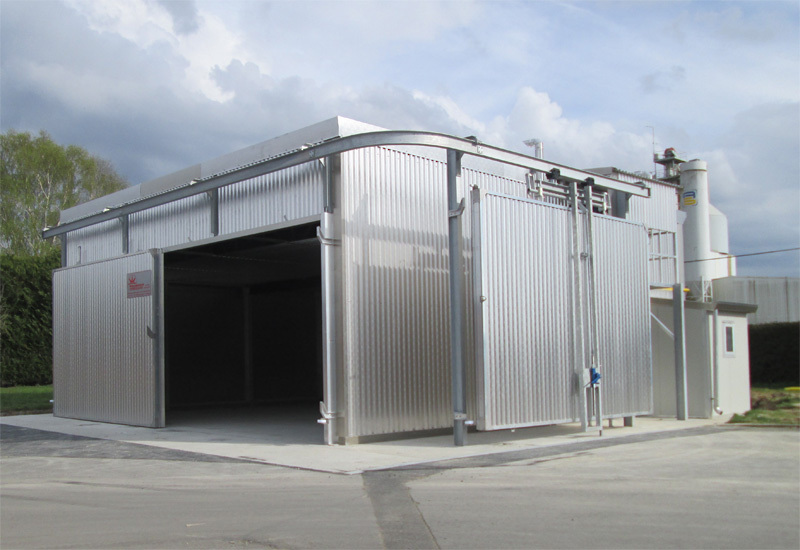 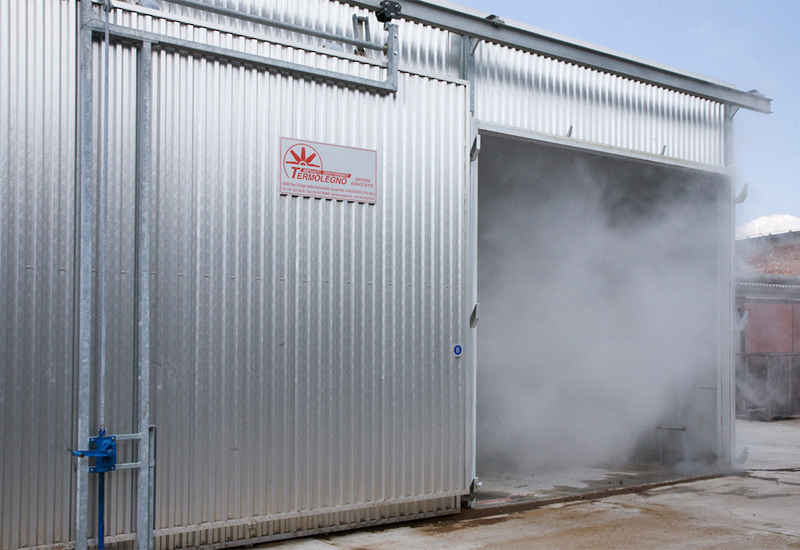 Drying kiln drying and ISPM-15 heat treatment with direct das burner, technical room and revolving door. 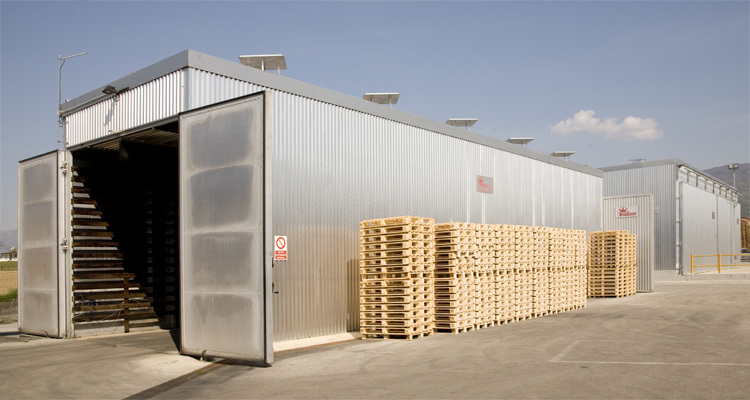 Installations for heat treatment of pallets with heating fluid hot water and direct gas. 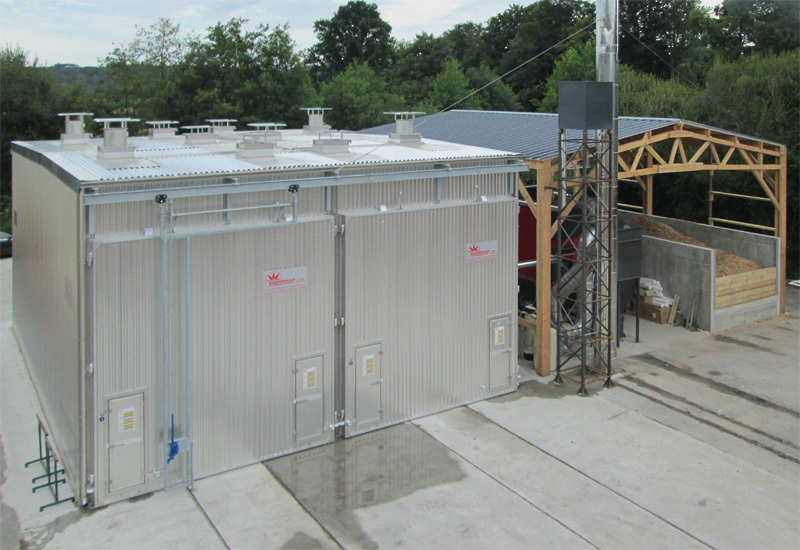 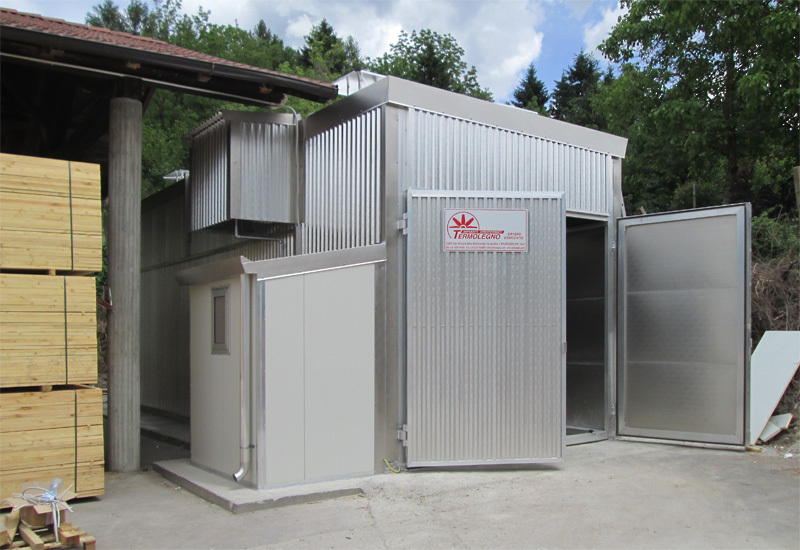 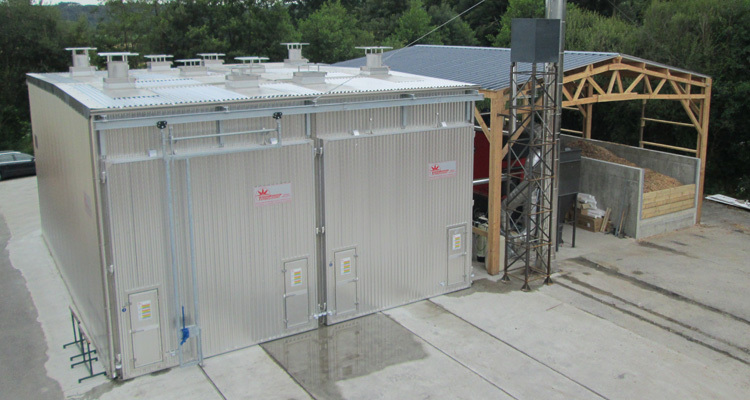 Small drying system and ISPM-15 treatment direct gas with aspirated burner and technical room.